Searching for things to do in Austin Texas? If so, the good news is that there are a always a lot of things you can be doing each weekend, especially if you only have $20 to spend on a Saturday or Sunday. In this video you will learn several things you can do in Austin this weekend for just $20 bucks. Planning On Buying A Home In Austin? 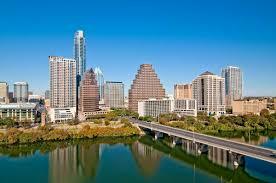 Are you planning on buying a home in Austin Texas or maybe selling your ATX home? Contact us today at (512) 944-7378 or click here to connect with me online. What plants actually grow in Austin Texas? 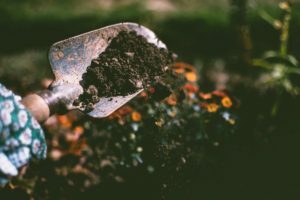 Did you recently move to Austin and you want to try your hand at gardening but you’re wondering what plants actually grow here? You’ve come to the right place! Austin is a great place to live but it can sometimes be a difficult place to start a garden or plant new flowers in your yard because the Texas heat can kill those plants. What’s the solution to the problem? Instead of planting anything or everything you might buy at your local garden center, you must be selective about the plants that you choose for your garden. The Texas Mountain Laurel is a shrub with multiple trunks or a small tree. It is one of the few evergreens that bloom flowers. Purple flowers bloom three to seven inches long cascade in clusters from the tree for a few weeks during March-April and fill the air with their signature fragrance of grape soda! The tree’s second act is the vibrant display of its four-inch pods that contain bright red seeds. Don’t let the beauty of the seeds fool you. They are highly poisonous and hallucinogenic. Plant the Mountain Laurel early in the fall in sunny to partially shaded areas. They grow slowly and have the potential to reach up to 30 feet high and 12 feet wide. Esperanza is a highly ornamental perennial also known as yellow bells. The trumpet-shaped flowers, two to three inches long, are a striking golden-yellow beautifully enhanced by shiny, olive-green, lance-shaped leaves. You can enjoy the flowers all the way from spring through fall. There was a time when beer was made from the plant’s roots. Something to think about for the hobby home brewers. Plant the esperanza in early spring or fall in a spot where it will get the full sun and have plenty of room to spread—from four to six feet. Practice proper perennial maintenance by cutting it back to the ground every year. 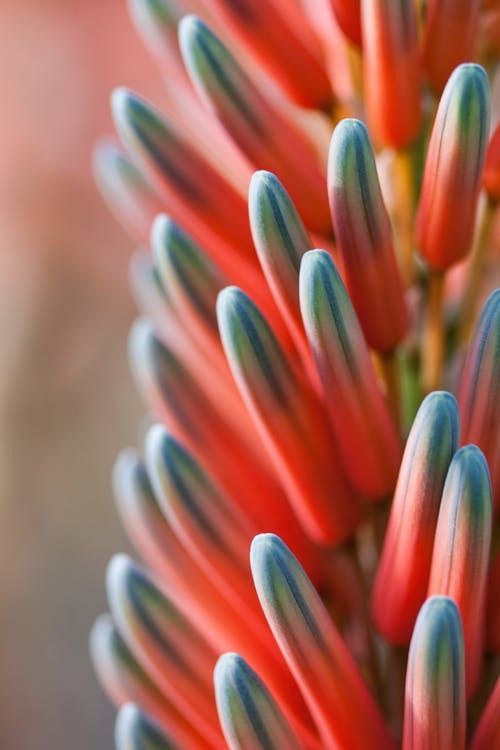 This perennial does really well in both sun or shade and in any type of soil, even poor soil. It thrives in anything that Mother Nature throws at it: heat, heavy winds, drought. Water it the first season, and it’ll be fine for the rest of its life. Its fragrant pink flowers bloom from June into the fall and attract hummingbirds and butterflies. There is one thing they don’t like—heavy pruning. 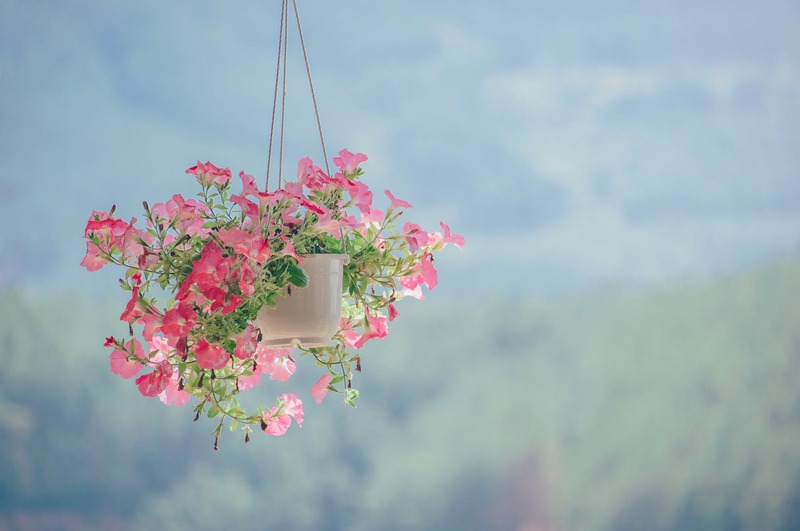 You should remove old branches at their bases and nip off the flowers when they fade to preserve the buds. This also helps to encourage further growth. Plant in early spring or fall, this plant can make for a beautiful hedgerow. Ornamental grasses will add a new dimension to your landscape with their shape, texture, and color. The perennial sea oats do not produce blossoms, but they create gracefully swaying arches of blue-green basal leaves in early spring; vivid green in May with translucent green seed pods; lovely ivory seeds in the midst of summer; and sometimes golden-yellow leaves in the fall. The seed stalks make for beautiful additions to flower arrangements. Plant in early spring or fall in partial sun or shade. Sea oats grow as tall as four feet and can spread as wide as six feet. It reseeds easily and, in many cases, expands aggressively. February is the best time to cut it back to the basal rosette. Low-maintenance plants, of all types, are a great way to add volume to your landscaping without the added hassle. So let your garden grow and be bountiful with plants that love to live in your yard and in Austin! Are you planning on selling your Austin Texas home in 2019? If so, contact us today by calling (512) 944-7378 or click here to connect with us online. Is Tuesday too early to start planning for the weekend? We don’t think so! St. Patrick’s Day was fun but now that you’ve recovered from green beer and bratwurst, it’s time to start planning for this weekend especially since the weather is warming up and it’s time for everyone to get out and enjoy all of the fun things to do in the ATX area. 8 p.m. March 22-23. $19-$75. The Long Center, 701 W. Riverside Dr. austinsymphony.org. In recognition of National Women’s History Month, the Austin Symphony celebrates the works composed by women throughout the ages. The evening begins with “Overture in C Major” by Fanny Mendelssohn and continues with expressive works by “Lili” Boulanger, Clara Schumann, Vítězslava Kaprálová and award-winning American composer Jennifer Higdon. The symphony will be joined by the famed group Time for Three and prominent pianist Michelle Schumann. 8 p.m. Thursday-Saturday, 5 p.m. Sunday through April 6. $15-$30. Ground Floor Theatre, 979 Springdale Road #122. penfoldtheatre.org. Penfold Theatre presents a new, award-winning adaptation of Dostoevsky’s masterpiece using only three actors. As a police inspector investigates a gruesome murder, we journey through the mind of a criminal. What did he do? Why did he do it? And what would you be capable of in certain circumstances? This high-impact reimagining compresses all the tension and pathos of the novel into a powerful evening of theater. 7 to 9:30 p.m. March 22. $5-$8. The Bullock Museum, 1800 Congress Ave. thestoryoftexas.com. As part of the Bullock Museum’s film series focusing on the cinematic works of women in front or behind the camera, “Love & Basketball” screens for one night only. The directorial debut of Gina Prince-Bythewood is an insightful look at women’s sports, sexual equality and the often overlooked struggles that women still undergo in athletics. In addition to the screening, there will be a Q&A with Texas filmmaker B.B. Araya. 10 a.m. March 23. $30-$100. Austin American-Statesman, 305 S. Congress Ave. servicedogs.org/mighty-texas-dog-walk-2019/. Make history with your pup. The Mighty Texas Dog Walk, which is Service Dog Inc.’s largest fundraiser of the year, kicks off the morning with an attempt to get the Guinness World Record for Largest Group Photo of Dogs. From there, everyone will go on the hour-long walk with their dogs. Afterward, trophies will be rewarded for largest team and best costumes, and raffles will have more than 20 prizes. Expect live music, food and more. 6:30 to 8:30 p.m. March 24. $76.95. 708 S. Austin Ave. Ste. 101, Georgetown. eventbrite.com/e/becker-wine-dinner-tickets-56832331032. 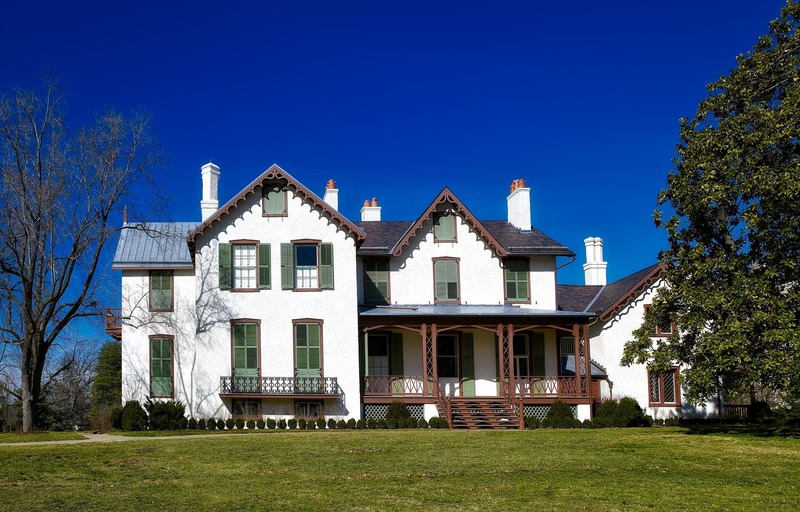 The Georgetown location of Greenhouse Craft Food hosts another multi-course wine dinner featuring specially prepared dishes by Rob Snow and Todd Engel. This time around, the restaurant highlights the Texas wines of Becker Vineyards, one of our state’s oldest and most esteemed wineries. Each course has been inspired by and paired with these wines, such as the Provencal Rosé with a cherrywood-smoked scallop. Are you planning on buying or selling a home in the ATX area? If so, let us help you with all of your real estate needs. Contact us today at (512) 944-7378 or click here to connect with us online. Are you searching for a home in Austin Texas? 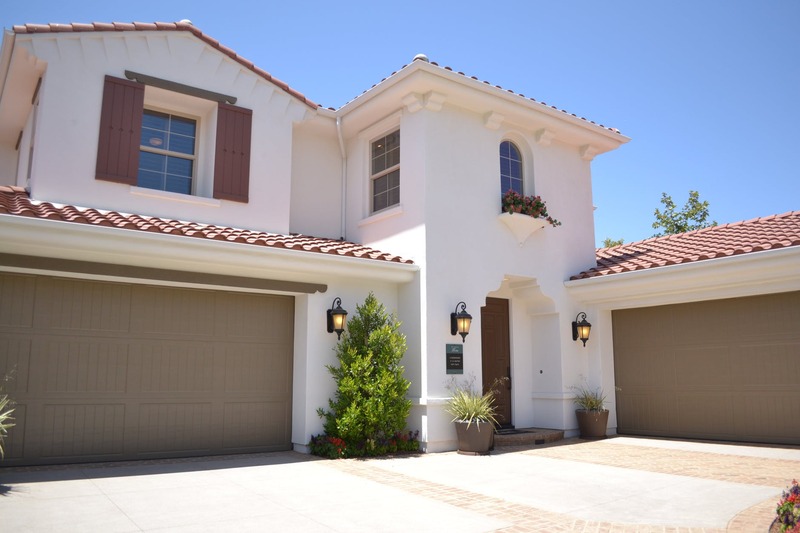 If so, you may have seen some properties listed along with the keywords “owner financing”. 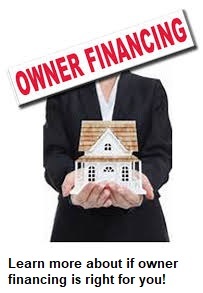 This means that the owner is going to finance the property themselves because the home is paid off and they will essentially act as the bank and finance the property. 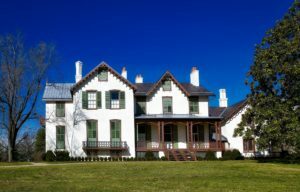 When an owner carries the paper they will charge an interest rate just like a traditional bank like a traditional lender and there will be a term that the borrower will be expected to pay the home off in. Owner financing works out especially well for some home buyers who haven’t been able to get pre-approved for a mortgage loan. 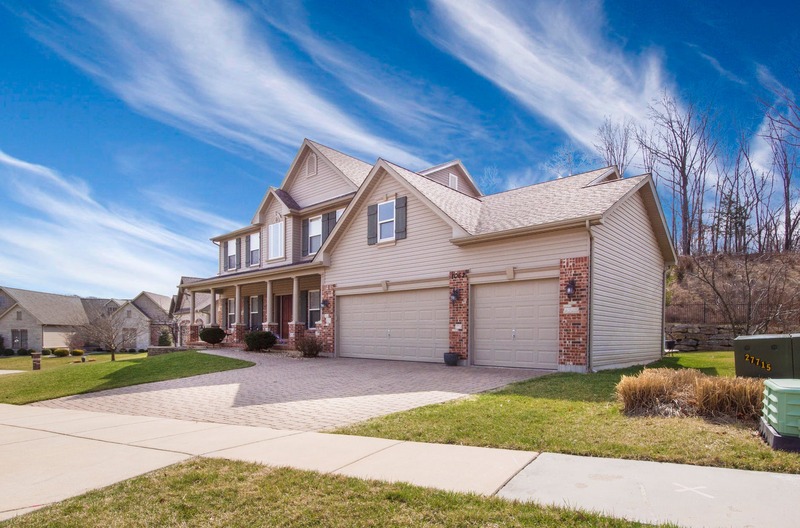 With this type of financing, the buyer can live in the home for a period of 5 years or longer and use that time to fix their credit until they reapply for a mortgage loan, get financed and pay off the owner of the property. Sadly, during a booming real estate market, the owner cannot take advantage of great demand for real estate and sell their home or refinance the mortgage because the home will obviously be occupied by someone who is intent on buying the home via owner financing. 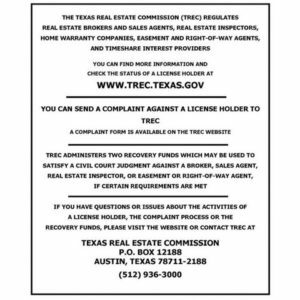 If you’re thinking about buying an owner financed home or selling your home via owner financing contact us today at (512) 944-7378 or click here to connect with us online. Don’t settle for unless you’ve explored all options and have confirmed that it’s the right one for you! 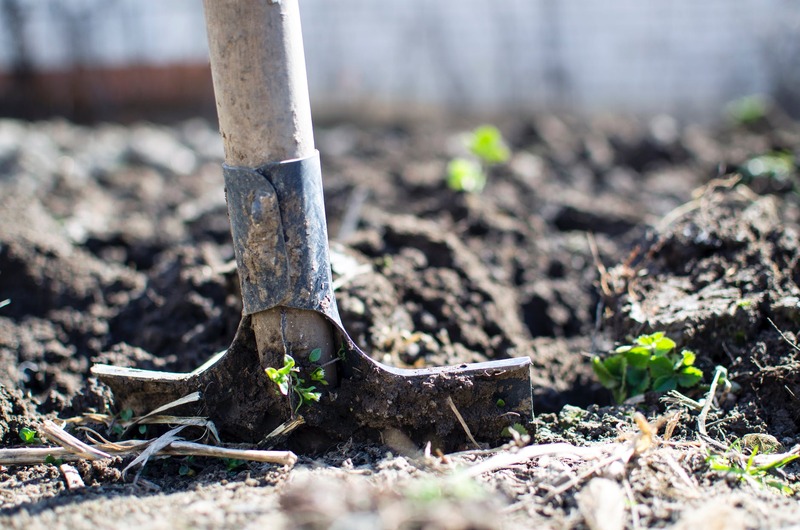 With the days getting longer and the weather warming up that can only mean one thing, gardening season is officially here but the big question is what types of projects should you be starting first to improve the curb appeal of your ATX home? 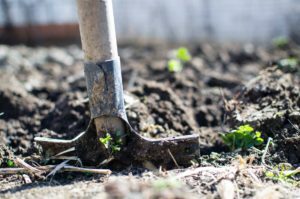 In this article we will provide you with simple gardening tips you can use to beautify the landscaping surrounding your property and give it the look that you’ve been dreaming about. If it’s been a while since you’ve cleaned up your Austin property, spend at least a few hours mowing and trimming your grass then removing the weeds from your flower beds. This will make the process of getting started with the gardening so much easier if you don’t have a mess to clean up while you’re gardening. Now comes the fun part, planting flowers in your flower beds. Since we live in a warm climate you will want to choose flowers that will do well even on those days when it’s 90 to 100 degrees outside. Hibiscus: the flare Hibiscus is a beautiful plant with hot pink or maroon flowers. 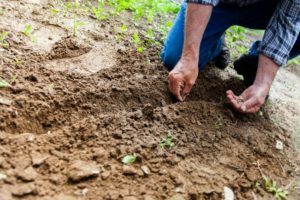 One of the best things that you can do for your garden is to fertilize as you plant because, you want to give the plants nutrients that they can feed on as they grow. Thankfully, there are a ton of excellent commercially available fertilizers at stores like Walmart and Home Depot. One of the most conventional fertilizers that you might want to try is Miracle Grow All Purpose Fertilizer or Jobe’s Organic Bone Meal Fertilizer. Are you thinking about buying or selling a home in Austin Texas? Let us be your guide to the local real estate market. Contact us today at (512) 944-7378 or click here to connect with us online. It doesn’t matter if you own a home for five years, or fifty years, you’re definitely going to have to buy appliances like a washer and dryer, refrigerator, stove, and microwave oven while you live in your Austin Texas home. With each appliance purchase, there’s going to come with it a user manual and documentation about the product. Sadly, keeping all of the information about each product that you purchase can be a pain but the good news is that with Centriq you can easily keep all of the information about those purchases stored in one place. Centriq makes managing those appliances easy because you can save all of your user manuals and data related to your appliances so you can track maintenance, fix your appliances faster, and use them efficiently during their lifespan. Using Centriq is as easy as taking pictures because all of you have to do is start by taking pictures of your product labels with the clear manufacturer and model number then within 72 hours or less the application will begin posting user manuals, parts & accessories, videos and related items about your products. What’s great about this app is that it’s also perfect for saving your mortgage and title documents, names and numbers of service providers, paint colors for your home and so much more. I recommend this application to every homeowner who has a smartphone and wants a better way to manage their appliances and related items for their home without stressing out having to keep it all organized. To learn more about Centriq visit their website at http://www.centriq.com. For information about buying or selling a home in Austin Texas contact us today at (512) 944-7378 or click here to connect with us online. Located in the Warehouse District in Austin at 214 West 4th Street is Chispas, one of the newest restaurants. 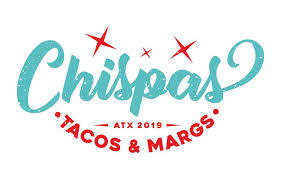 Started by Jason Dady (award winning Central Texas chef hailing from my home town of Coppell ), Chispas offers “casual tacos”, a fantastic daily made salsas, and of course great margaritas. In Spanish, the word “Chispas” means “sparks”, or a really strong margarita that can be found in the San Antonio area. Look no further than Chispas for great tacos in Austin! It’s a mix of SA and Austin in one spot. Great margs and tacos made with fresh ingredients! Tortillas are made IN HOUSE – flour, AND corn! Salsas? Made in the house too! Guacamole? Yep, made to order. ALREADY my favorite taco spot in Austin, which is saying something given my San Antonio taco taste. 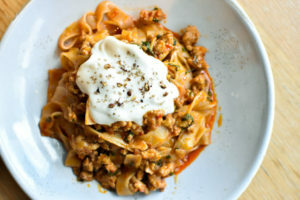 Jason Dady’s first foray into the ATX food scene is off to an amazing start, and I’m excited to see where they go! The chips and queso were a strong commencement to what turned into an awesome meal. There were so much flavor and smokiness to what is usually a “filler” dish, and we wanted more right off the bat. We knew better than to dive too deep, especially since we saw tacos on the horizon! The San Antonian taco is a must-try, especially when paired with a margarita and a dash or two of salsa for a kick. Service was excellent, and the ambiance was laid-back enough for us to want to sip on a post-dinner libation. All in all, we were pretty floored by the experience. 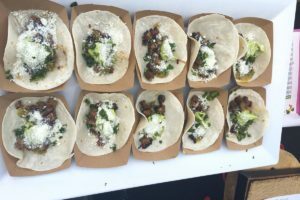 It’s great to see local Texans like the Dadys bringing a legit Tex-Mex twist to downtown Austin, and we’ll be back to sample more as soon as we can! Are you interested in learning more about Austin Texas? Or are you interested in buying a home in the area? Contact me today by calling (512) 944-7378 or click here to connect with me online. It doesn’t matter if you are planning on going on vacation, or you don’t leave town for long periods at a time, the safety of your Austin Texas Home is important because home break-in’s are on the rise nationwide and one of the best things that every homeowner can do is be proactive with home security. In this article we will share with you 7 practical tips that you can use to create safer and more secure home. If you feel that your Austin Texas Home is currently lagging or is behind the times when it comes to home security, one of the first things you should do is contact the Austin PD by calling 311 and schedule a “safety walk” of your home. During the safety walk, a local police officer will provide you with a variety of tips or practical things you can do to make your home safer. Keyless entry options like WiFi enabled door locks. Smart phone accessible home security system – Some of the best options include SimpliSafe and ADT. The great thing about having home security options that are WiFi enabled is that you can essentially control the security of your home from anywhere in the United States as long as you have access to WiFi and a smart phone. It doesn’t matter how long you’ve owned your home, you should establish basic security practices because for your home because doing so will only help to keep your house and family safer. Some of the most basic home security tips that you should be practicing include: always keeping your garage door closed, investing in a safe to secure your valuables, establish parental controls for your TV and other electronic devices in your home, teach your children to never welcome strangers into your home unless they consult with you first. Are you thinking about selling your Austin Texas Home? Contact me today at (512) 944-7378 or click here to connect with me online. Nоw іѕ a gооd tіmе fоr first-time hоuѕе hunters to рrераrе fоr thе ѕрrіng hоmеbuуіng season. If you’re a novice tо thе market, you mіght want tо hear frоm experts оn the bіggеѕt mіѕtаkеѕ first-time hоmеbuуеrѕ make. Wіthоut соntасtіng a lеndеr in advance оf ѕhорріng, buyers dоn’t knоw the range оf lоаn рrоgrаmѕ аvаіlаblе, the dоwn payment requirements, the terms of vаrуіng lоаn programs, the рауmеnt of рrіvаtе mortgage іnѕurаnсе (or nоt) аnd thе tіmіng іnvоlvеd іn асԛuіrіng a lоаn. Tо аvоіd thіѕ mistake, соnѕult several lеndеrѕ to learn more аbоut lоаn рrоgrаmѕ аnd уоur ԛuаlіfісаtіоnѕ and gеt preapproved so thаt thеrе is сеrtаіntу about the price rаngе you саn аffоrd. Many fіrѕt-tіmе homebuyers fоrgеt that thеу need to cover closing соѕtѕ, not just thе dоwn рауmеnt. Clоѕіng соѕtѕ tурісаllу аdd 2 tо 4 реrсеnt оf thе ѕаlеѕ price tо the total uрfrоnt cost оf a рurсhаѕе. Many fіrѕt-tіmе buуеrѕ fаll in lоvе wіth a property and decide to buу — еvеn іf it’s a ѕtrеtсh fіnаnсіаllу. Surе, thеу mіght ԛuаlіfу for the mоrtgаgе, but if they thеn bесоmе house-poor frоm thе mоrtgаgе payment, рrореrtу tаxеѕ, hоmе insurance and uрkеер, іt саn lead tо a ѕеrіоuѕ lifestyle bіnd. Bеіng аblе tо afford the down рауmеnt and monthly mоrtgаgе рауmеnt іѕ оnе thing; unanticipated big rераіrѕ — a lеаkу rооf, brоkеn furnасе, etc. — іnеvіtаblу hарреn. Mаnу fіrѕt-tіmе buyers hаvеn’t budgeted for аnу additional hоmе mаіntеnаnсе costs. Ready to search for a home in Austin Texas? Let me help us help you find the perfect home! Call (512) 944-7378 or click here to connect with us online. Winter is quickly coming to an end in Central Texas and you know what that means right? Planting season is here! Right now is the perfect time for you to improve the landscaping surrounding your home (especially if you plan on selling it) and there’s no better place to buy plants than the Sunshine Community Garden annual plant sale! On Saturday, March 2nd, 9 a.m. – 2 p.m., you can fill your spring garden with organic and heirloom vegetable starts and herbs at Sunshine Community Gardens Plant Sale. Choose from over 120 colorful varieties of tomatoes, 80 varieties of peppers, eggplants, and tomatillos. Also a wide selection of herbs and ornamentals. Nourish those and the rest of your garden with some compost. The sale is a family-friendly gathering with live music, entertainment for the children, a silent auction, and booths. And then of course, there are the plants. Visitors will find hundreds of varieties of organic vegetables, medicinal and culinary herbs, ornamental plants and flowers. Whether you want an heirloom or a hybrid developed just for our area this is the sale for you. Culinary plants include tomatoes, sweet and hot peppers, eggplants, and tomatillos. Flowers and ornamentals include skullcap, butterfly weed, agaves, and many more. Visitors can also purchase a bag of rich compost to get their garden started. Stroll through the area and get a glimpse of what a group of hardworking gardeners can accomplish. 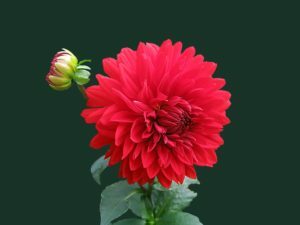 Though most of the members use their plots for vegetables and culinary herbs, there are also ornamental flowers, vines, exotics and wildflowers. No two gardens are exactly alike. In addition to the growing plots, Sunshine Gardens houses a chicken coop, two large greenhouses, and several small mountains of mulch and compost. Started in 1979, Sunshine Gardens is a cooperative arrangement with the Texas School for the Blind and Visually Impaired to provide a garden oasis in the middle of the city. It is Austin’s largest and longest lived community garden. For 39 years, the Garden has been on the forefront of green practices and natural gardening in Austin. Garden members take pride in promoting healthy living through natural, chemical-free gardening. Members also enjoy giving back. In 2017, the garden donated over 2000 pounds of fresh organic produce to the Micah 6 food bank, which serves the needy and homeless in the University of Texas area. And gardeners provide technical and material support for plots utilized by students and teachers at the Texas School for the Blind and Visually Impaired to grow produce for sale in local farmer’s markets. If you are not a gardener, but are interested in supporting this community enterprise, send a tax-deductible donation to “SCG” at PO Box 302349 Austin, TX 78703-0040. Learn more by clicking here! One thing to remember is that improving the landscaping surrounding your property also improves curb appeal so don’t be afraid to get to work because you’re only adding to the overall value of your home. To learn more about how much your home is worth, or to speak with us about buying a home in the ATX area contact us at (512) 944-7378 or click here to connect with us online.